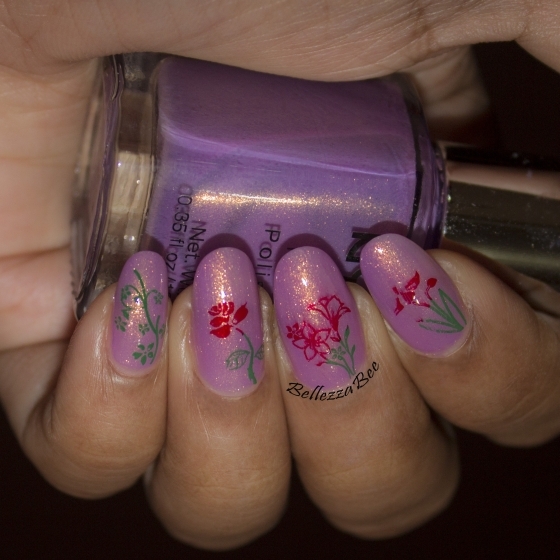 I'm really hooked on nail stamping since it's such a quick way to dress up a plain old polish. 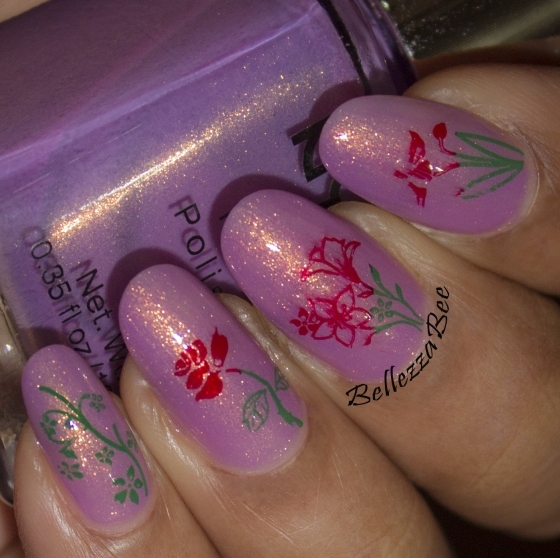 Today's design was the first one done using my Konad polishes and plates with a spring inspired design. 6. Top coat: Seche Vite. 1. For beginners: Get yourself some of the konad polishes especially the white and black, they work amazingly. 3. Try adding two colors side by side to one image on the plate and scrape so they do not mix so you get a multicolor design. 4. Do not use the metal scraper that usually comes with the Konad sets, they scrape the plates badly. Use an old bank card or the Pueen scraping card instead.